Just a few years before the redesigned Chevy Colorado and GMC Canyon marked the resurrection of the mid-size truck class, few models left the US market. 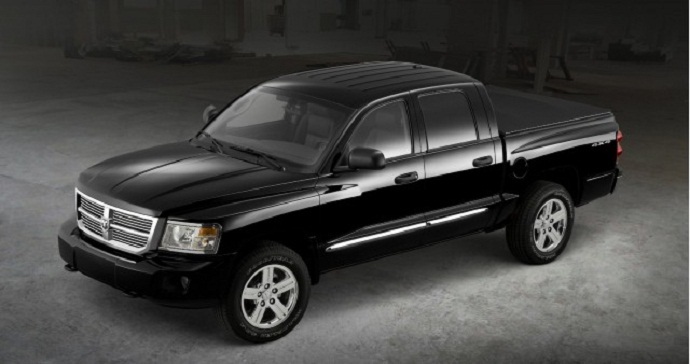 Among discontinued models was the Dodge Dakota (the Ram Dakota in the last two production years). About the same time, Ford also ended production of the Ford Ranger for the US market. However, with the growing demand for the mid-size models, Ford made the decision to return the Ranger the stateside. The rumors suggesting that FCA is also considering the come-back of the Dakota nameplate. This model has, however, been rumored for the return since its discontinuation. The brand, on the other hand, confirmed the Wrangler-based truck but this model seems also to be delayed for the 2019 model year. So, we don’t see any proof that Dakota nameplate will return as the 2018 Dodge Dakota but let’s see what the rumors suggest. 2018 Dodge Dakota: Unibody Design? As per what rumors say, the 2018 Dodge Dakota could be a new unibody based truck sold in the US together with now lone Honda Ridgeline. Other rivals for the new Dakota would include models with the traditional underpinning like the GM’s duo, Toyota Tacoma, and Nissan Frontier. So, the new Dakota should again belong to the mid-size class despite the rumors don’t reveal the dimensions of this model. The unibody design would, on the other hand, provide SUV-like handling and ride comfort. The styling of the new Dakota is rumored to draw an inspiration from the Ram 1500 despite this model has also been expected for the near redesign. On the model’s front fascia, we should again see some form of so-called crosshair grille design now combined with modernized headlights. As for the interior, rumors promise a more SUV-like design. The model should include more comfort and tech features compared to the previous version. There should be the latest infotainment system and inclusion of advanced safety aids. The model will also appear in several trim options while the only cab style could be the four-door version. The last version of the Dodge Dakota had a V-6 and V-8 engine options delivering 230 and 260 hp respectively. The transmission options included a six-speed manual and two automatic units. What engine would power the 2018 Dodge Dakota is now the matter of speculation. If this model reaches the production, it should come with the base four-cylinder engine and more powerful V-6 option. The diesel engine is also the possibility. The model should include the automatic transmission only and both two- and four-wheel drive. The suggested price range of the 2018 Dodge Dakota is from around mid-20,000. As per rumors, this model should hit the market in the first half of 2018.